class="page-template-default page page-id-358 cookies-not-set wpb-js-composer js-comp-ver-5.4.7 vc_responsive"
There are many footpaths which lead to the « Chemin de Saint-Jacques de Compostelle » and pass near the Mas des Elfes. When you come up from the south; from the direction of Montpellier, you will find our village located between the “Plateau de Larzac” and the Vallée de l’Hérault (Herault Valley), arriving at the « Grand Site du Pont du Diable », you will find Saint Jean de Fos, a picturesque village of potters. Here, you will discover one of the most beautiful botanical areas of France, in the heart of a unique countryside where the wild side of nature is contrasted with the splendid and outstanding natural beauty & mineralogy history. The “Pont du Diable” (built in the XI century by the monasteries of Gellone and Aniane) spans the Hérault River at the exit from the Gorges, a place known as the “Gouffre Noir” (Black hole). 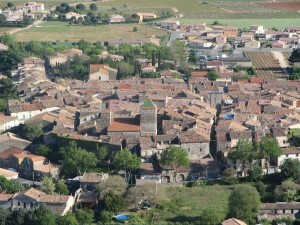 In the XII century, the “Fort de Saint Jean” (Castle of Saint Jean) overlooked the “Pont du Diable” and valley. Ever since, “Saint Jean du Fort” has become phonetically pronounced, “Saint Jean de Fos”. Our village has been highly reputed for a long time for its potteries and ceramics, particularly, the production of jars, vases, as well as tiles, drain pipes which are varnished in brown, orange or green. 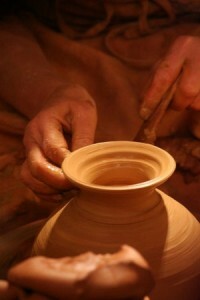 At this start of the 21st Century, the savoir-faire has been rekindled with the opening of a “Maison de la Poterie” (House of Pottery), and the potters (known as “orjouliers”) successfully continue the tradition. Other well established traditional activities at Saint Jean de Fos include the production & conservation of olives as well as quality wines, offering your palate the riches and beauty of the region. 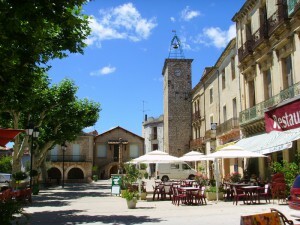 At the village square, you will find a fountain topped by a marrow, known as a “cougoule”! Folklore has it that it is the Devil who causes the water to boil, and it is even today its common belief that when you go across the bridge, you must not forget to throw a small stone into the river – to calm your fury. At the time when the Saracens besieged Saint Jean du Fort. 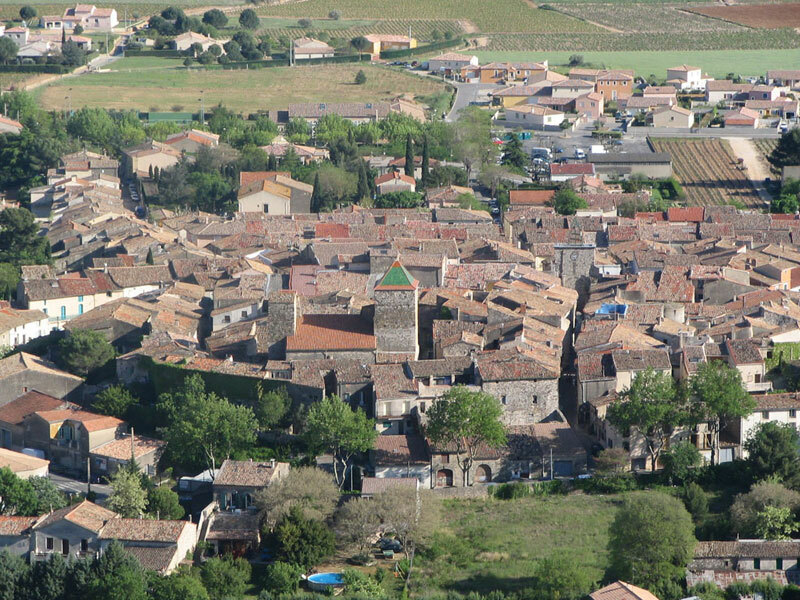 The entire village population joined together at the top of the wooden ramparts to empty onto the enemy all their reserves of boiling olive oil, potteries and marrows !